This prebuilt suite is designed for the tech firm or corporate branch office looking for a comfortable turnkey workspace for up to 9 people. Suite 248 is a three room suite with a spacious layout filled with natural light including intracoastal views. It is newly built with a contemporary design and loaded with upgrade features including custom furnishings. With the many Symphony Amenities included in the monthly charge, this 944 square foot suite offers the best value and most efficient ratio of usable workspace on the market. This suite is also one of only two located beyond the center entrance giving your visitors a knock-out first impression with reception service included. This provides the "big company" image without the million dollar price tag. Suite 248 has a Palm Beach address (33480 zip code) on South Ocean Boulevard known locally as Billionaires Row. The building is only 9 minutes drive from Worth Avenue, but is a world away without the high cost and stuffiness of Banker's Row. Read on the see the specifics of why this could be the ideal workspace for your team. Why is This the Best Value on the Market? Simply put, nothing offers this level of features, details, and amenities at a comparable price. This is a rare furnished suite and is a "must see" for those looking for a quality turnkey private suite within a suite. The three rooms have custom built contract furnishings designed to maximize storage, work surface, and floor space. There is a private conference/huddle room within the suite along with a manager office or focus room. The finishes have been designer matched to the entire floor making a seamless impression for your visitors. The outer workspace can be configured for up to 8 workstations or can be combined with over a dozen storage units. This is a spacious and open design filled with natural light. Suite 248 includes sunny window views facing west. The open work area has open intracoastal views for a beautiful backdrop or just day dreaming. The views blend Florida living with working in the best possible way. One of rarest office space opportunities in Palm Beach (and probably in Florida) is this beachfront building on South Ocean Boulevard, known locally as Billionaires Row. It's only a picturesque 9 minute drive away from the congestion of Worth Ave and Bankers Row, but is a world apart with easy access and plentiful free parking. Walk to the Four Seasons Hotel on the beach or the amenities of the Lake Worth Casino. Slightly further is the charming town of Lake Worth with restaurants, cafes, galleries and more. No detail has been overlooked to build out the finest contemporary workspace in the market. From the floor to the ceiling, and everything in between, this is "upgraded" to the highest standard. Think cherry wood details with matching full height doors and MacPro hardware; custom dyed Interface carpet tiles; and quad outlets for each workstation. The communications infrastructure is gigabit level with three or more cable pulls to every desk position with video display connections in each suite and business grade WiFI throughout the entire floor. 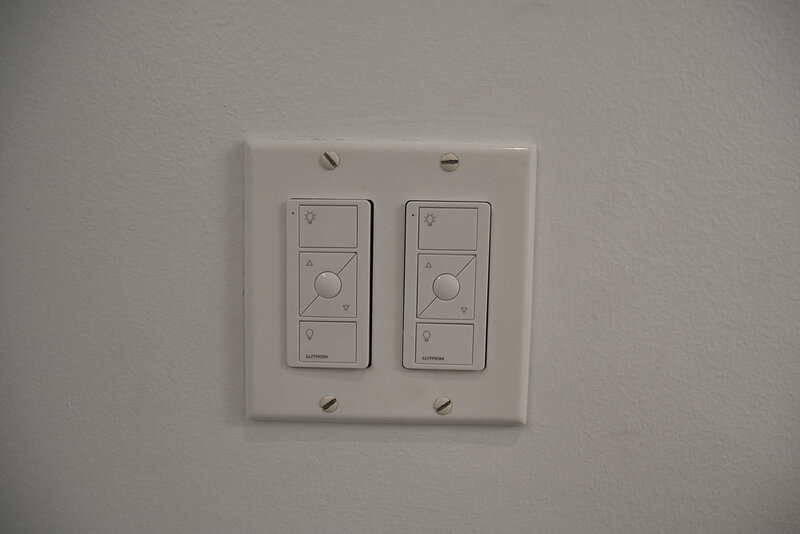 The lighting is entirely energy efficient LED with programmable dimmer switches even for the ceiling lights. For security a card access security system is included for each suite with separately locking doors within. Plus, even our smallest suites include separate AC units with local controls for 24/7 air conditioning if needed. Each suite rental includes amenities well beyond just office space in an office building. 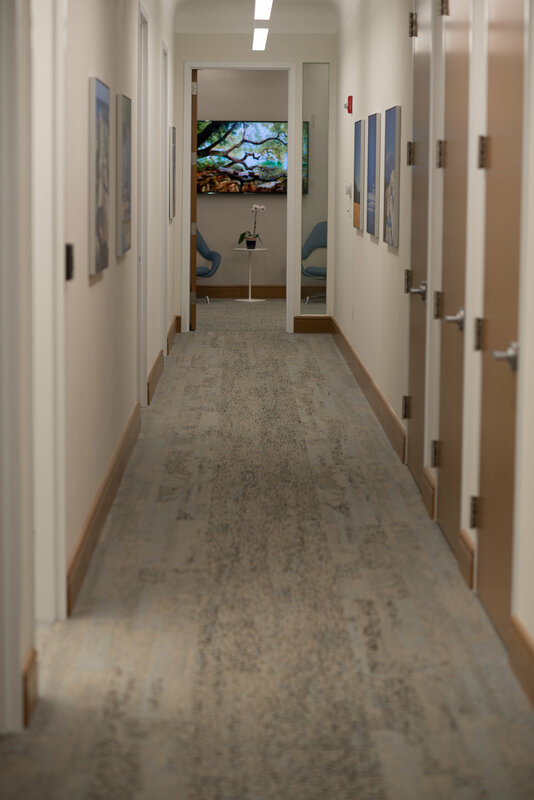 All suites are a part of and managed by Symphony Workplaces and each member of your team has access to the many first class Symphony Amenities provided in the building. They include professional on-site management, concierge, client lounge with beverage service, and a complete voice and data infrastructure with tech support. Here you're a Client and not just a Tenant. This magnificent beach front hotel is only a short walk away from the building. All Symphony Workplaces Clients receive access and discounts to all Four Seasons restaurants, spa and other amenities. Our "workcation" arrangement offers Clients, their families and visitors priority and reduced rate room bookings throughout the year. No need to waste pricey office space for part-time use as a conference room. Instead, there is a full conference center on the premises with meeting rooms seating from 2 up to 24 people. All Client's have priority access to the meeting rooms with low hourly rates and full catering available. Lounge access includes extensive seating and free premium beverage service including individually brewed Starbucks coffee. The Lounge is the center of networking at the center and all Clients are encouraged to meet, mingle, and relax for a break from work. The Lounge is accessible 24/7 for all Clients. All visitors to your office are welcome to use the floor's entrance where a full-time professional receptionist displays visitor names on a welcome sign and greets and escorts your guests to their destination. 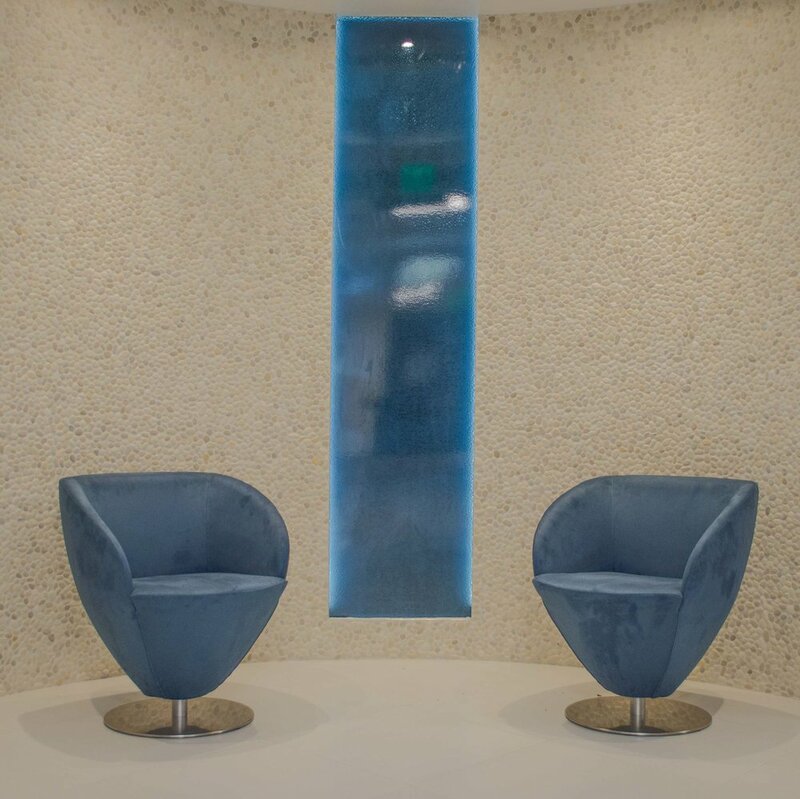 The unbranded domed entrance lounge with leather seating and stone wall finishes provides the best possible first impression for your business. 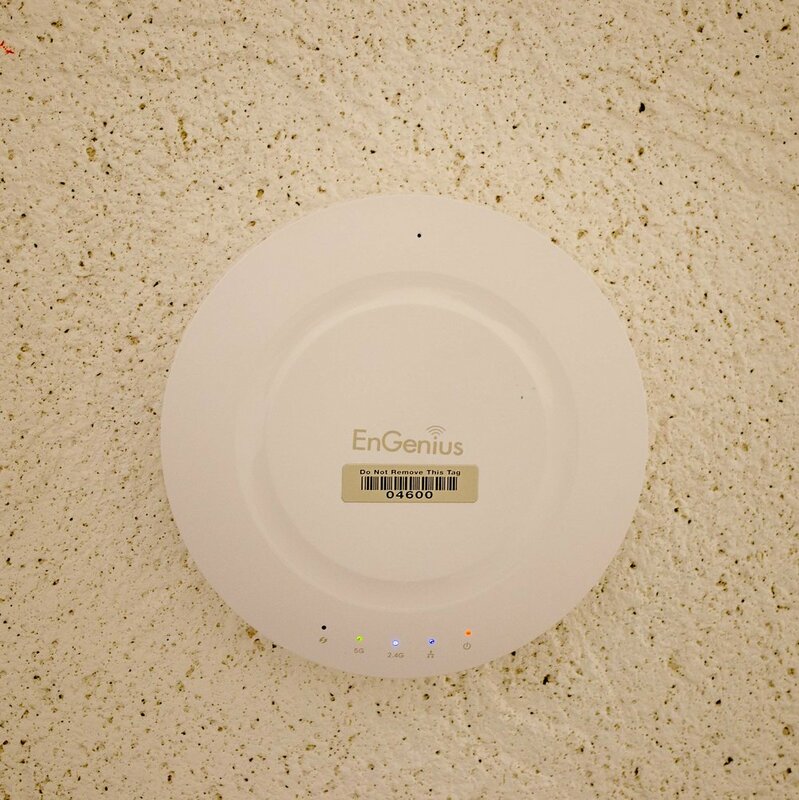 All Clients have free, unlimited access to business grade WiFi throughout the center. For high level broadband users, all work positions also offer optional Cat 6 wired internet service with rack space and backup circuits included. Ask us about adding enterprise level Avaya IP phones with calling plans. Each workspace rental includes the services of a full-time professional support staff. Nearly every office service including reception; concierge; mail and package handling; cleaning; and network support are provided during business hours. We can also provide optional IT support for Client systems as needed. Simply by clicking below. Most available tour times begin at mid morning on weekdays. If you can't find a convienent time call us at 561-868-8800 and we'll work with your schedule.